Troubleshooting your Star TSP 100 (143) LAN/Ethernet Printer on iPad – How can we help? This guide provides instructions on how to troubleshoot your Star TSP100 LAN/Ethernet printer on your iPad. 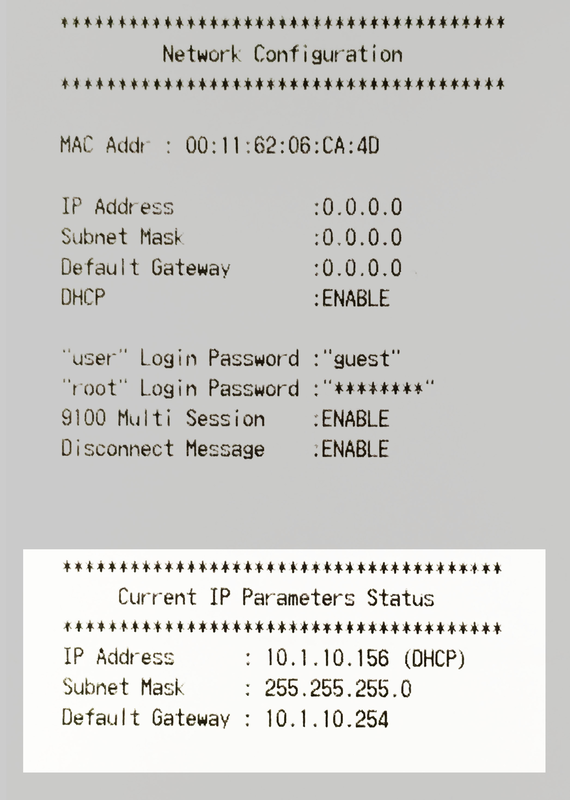 If you would like to learn how to set up your Star TSP100 LAN/Ethernet printer on your iPad, head to this article. Once you have set up your Star TSP100 LAN/Ethernet printer, you may have some trouble with your set up. The instructions below will help you troubleshoot your printer to allow you to start printing receipts from your iPad. 1. Turn your printer off. 2. Hold the feed button down and turn your printer back on at the same time. 3. Release the feed button. This will print out two test receipts. 4. At the bottom of the second page, it will show Current IP Parameters Status. Tap on the home button of the iPad to take you to the screen on the iPad where you see all your Apps. Tap on Settings -> Wifi -> Tap on the Wifi network you are connected to. If you continue to experience difficulties with your Star TSP100 LAN/Ethernet printer on your iPad, contact our Support Team who will be able to help you further.